Delfin’s luxury cruises, Delfin I, Delfin II and Delfin III navigate through the PacayaSamiria National Reserve, which is the largest protected flooded forests in the world, making it one of the primary intact swathes of rainforest in the Peruvian Amazon. During the rainy season in the Andes, water levels rise in the Amazon, flooding 85% of the reserve and making it only accessible by boat. As the largest tract of tropical rainforest in the Americas, the Amazonian rainforest boasts unparalleled biodiversity. More than 1/3 of all species recorded in the world are found in the Amazon basin, constituting the largest collection of living plant and animal species in the world. Each vessel is a floating indulgence. 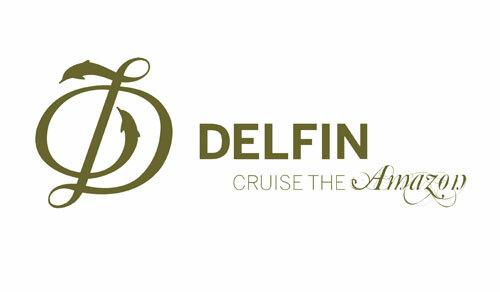 The Delfin I is their most luxurious vessel, with just 4 extraordinary suites. The Delfin II has 14 outward-facing suites and the Delfin III is their larger vessel with a capacity of 43 passengers. Their itineraries showcase the best flora and fauna of the region, along with varied soft adventure excursions for travellers to further discover the secrets of the Peruvian Amazon. 2-3 optional excursions take place daily, including swimming with pink dolphins, fishing for piranhas at sunset, bird watching, trail walks and visits to native communities where Delfin has established empowering and innovative local partnerships. A notable highlight of the Delfin’s all-inclusive program is its innovative Peruvian cuisine. Guests will be surprised with new exotic culinary delights daily, always freshly prepared and infused with inspiration from the rainforest around you.